Gwen is a pretty typical, early twenties college student. Her daily life consists of classes, girls’ nights out, and the occasional boy problem. Alex is an angel who can no longer call heaven home and is older than the Earth by thousands of years. He’s settled in the same beach town as Gwen with his family of hybrids, and is working toward keeping others like himself safe. When the two of them meet, both their lives become more complicated than they could have imagined as all their other relationships are impacted, and they realize that their fates are intricately intertwined. 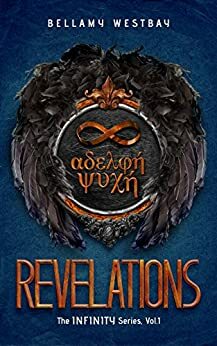 In Revelations by Bellamy Westbay, the action and mystery start early as we get to know Gwen, Ky, Beverly, Hannah, Alex, Eli, Zane, and a slew of supporting characters. Told from alternating viewpoints between Gwen and Alex, the story flows extremely well. The two characters complement each other’s narratives, providing insight into their lives and motivations, plus the pacing is perfect. The use of two main voices works as an excellent tool, helping to increase character depth and revealing important plot points while still maintaining the overall sense of intrigue. 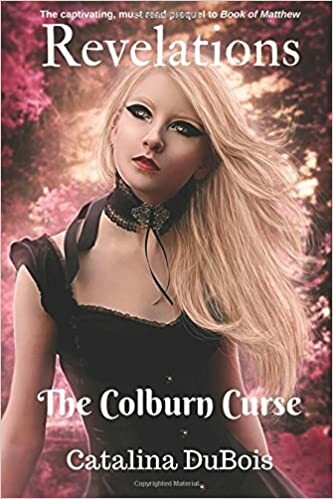 It can sometimes be difficult to write a supernatural story without being hokey or goofy, but that angle is also well done, enhancing the book’s plot without straying outside the initial rules established by the author. While nearly all of Gwen’s schoolmates and casual acquaintances are somewhat two dimensional or stereotypical, such as the fact that pretty much everyone she knows is insanely attractive, it’s not a problem that distracts from the narrative. Somehow, that aspect actually helps. All in all, this is a fun and compelling action/ mystery the really revs up when Gwen realizes she no longer knows who she can trust on a day to day basis. All of her friends are suddenly behaving differently, and even her parents begin to act strange, giving her even more cause for concern. As more and more twists and turns occur, the reader has the pleasure of trying to decide who everyone might be fighting for, but quickly realizes that whoever is behind everything is staying one step ahead. Revelations is subtitled “The Infinity Series, Vol. 1” and because it’s part of a series, it ends on a huge cliffhanger. Throughout the book very few questions receive a definitive answer, but the ending does seems to interrupt the action in an appropriate place. I look forward to the next installment!